Anzo black LED tail lights are one of the best LED tail lights on the market! These Anzo tail lights use LED bulbs that use less power, emit almost no heat and shine brighter than your standard halogen bulb. Special attention is paid to testing these tail lights. Anzo LED tail lights are manufactured in ISO 9002 and QS 9000 quality certified factories. 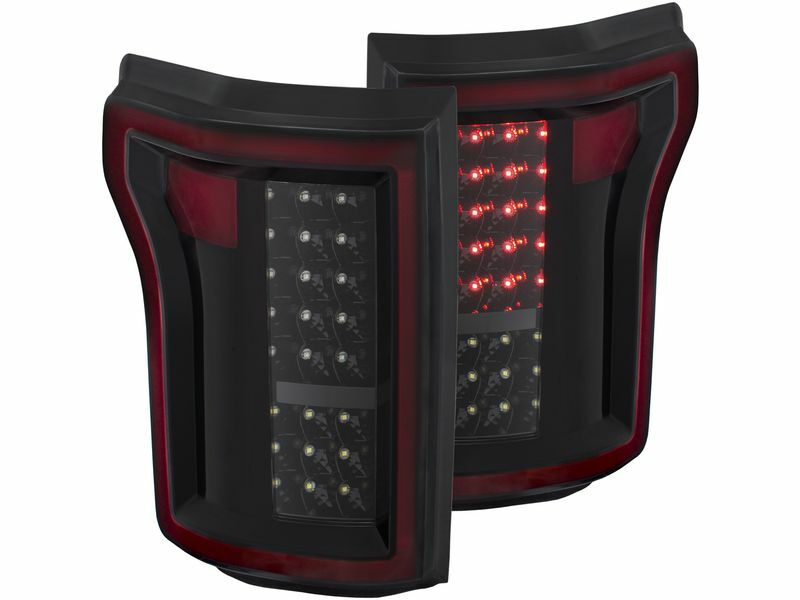 Anzo extensively tests these tail lights in a Thermo-Hygrometer (temperature and humidity chamber) and a rain-resistant tester. They also go through strict testing for shock, impact strength and salt/dirt resistance to ensure quality performance and durability. They are also DOT and SAE approved, which means the Anzo Black LED tail lights meet or exceed the standards set for OEM. Anzo designed a simple plug-n-play light, making these LED tail lights a perfect DIY, direct-fit replacement to improve your safety while giving your car, truck or SUV a stylish, custom appearance. Featuring a one year warranty, Anzo black LED tail lights are a great addition to your truck or car! All Anzo lighting products are covered by a one year limited warranty against defects in materials or workmanship. Anzo tail lights can be installed easily at home without any drilling or cutting. No special tools are needed and everything is included for a complete install. If you have any questions or would like any additional information, you can always give our customer service department a call. They are available seven days a week for your convenience.